Tomorrow is the beginning of 2019 and around the busy family Christmas break I’ve managed to get the first steps of FlickFleet Kickstarter fulfilment completed. We’d set the delivery date for the Print and Play version to December 2018, which considering the Kickstarter didn’t finish until the 8th of Dec, we didn’t get the funds until the 28th and we had Christmas and family holidays arranged was probably a bit optimistic. But the good news is the P&P files are done and I will have sent the email to all the people by the end of this evening. With the funds now cleared in our bank account we are also now ready to order the printing, wooden pieces, dice and laser cutter. It’s all go! 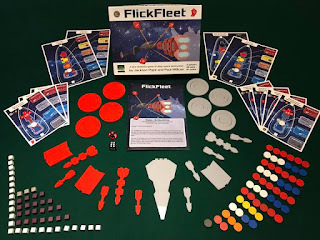 Paul and I chose to go to Kickstarter for FlickFleet because we needed funds up front for the laser cutter purchase and the raw materials for making the games. We have an unusual two-phase campaign, and this was our first Kickstarter which will skew things I’m sure, but I wanted to look into the data we collected (some permanent, some transitory) and see what we can draw from it, and by sharing it here I hope there is something useful for you too. We went into the project knowing that our audience wasn’t big enough to succeed. We needed help. We had figured on an average pledge of £31 (standard copy plus UK shipping) so we needed 387 backers. Our mailing list was 135 people and not all of them would want a copy, I guessed around 30% (40). So we needed to find another 347! The fact that we were going to Kickstarter changed a few things about how we approached the launch - I made a few demo copies and send them to reviewers (6 in total but we only got five reviews due to a series of unfortunate events at one of the reviewers) and I also arranged a lot of podcasts and email interviews ahead of the Kickstarter launch. Usually review go out after I've hand-crafted all my pre-orders, so this attempting to build a buzz ahead of Kickstarter was all new to me. I think we did ok, the podcasts definitely helped, but we could have done with sending out more review copies I think, five reviews was only just enough. One of the things we were really hoping for was that just the act of being on Kickstarter would help - we needed to find 347 people to support us somewhere. As it turns out we were right. 46% of the total raised during our campaign was raised through Kickstarter itself. Some of that is probably people who found out about it elsewhere and searched on Kickstarter, but a huge proportion of our total came from the platform itself. By comparison, 33% came from outside and only 19% directly from a link we shared. Another large benefit of Kickstarter was finding out really early on that the deluxe versions were hugely popular. It allowed us to change the shape of the campaign on the fly - opening up more deluxe editions as time went on. Downsides were plenty though. The campaign was plagued by a constant stream of cancellations, and Paul and I felt constantly at risk of further backwards progress - that made the whole experience very anxiety-inducing. In the end about 14% of backers cancelled their pledges (though a few of those eventually came back). This was compounded at the end when 18/325 backers had payment errors. By the end, this was down to 6/325 (2%) and the final total before fees was £11,891. Obviously this is lower than the amount of money we needed, but one of the joys of hand-crafting print runs is that we can change our print run size and there's no minimum, so we're still good. A couple of things I clung to throughout the campaign were a couple of stats about successful campaigns. One, from Kickstarter itself, is that 98% of all campaigns that reach 60% end up successfully funding. Another was that anecdotally, funding is split roughly 1/3 each between the first 48 hours, the middle and the last 48 hours. In our case the numbers were 31.8%, 48.5%, 19.7%, so even though we had a weak finish, we were well within 30% with 48 hours to go. We had 723 project followers at the end, and we went from 12% to 17% of them backing the project after the email reminder went out. 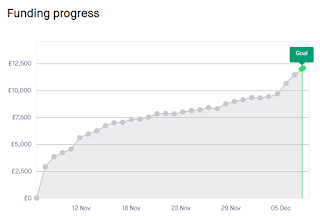 That's 37 backers at the end from the followers, or just over 5%. So there are only five days left of the FlickFleet kickstarter campaign. For the last 25 days, Paul and I have lived on tenterhooks, willing the Kickstarter total to go up, hoping that we can be successful at our first attempt on Kickstarter, despite my professed discomfort with it. It's been a deeply uncomfortable experience. Had we funded very quickly, I would have found it a very different experience I'm sure. Had we clearly got a failing campaign we could have pulled the plug early and despite the disappointment we would have been able to relax and take stock. Instead we have the worst outcome. A campaign that looks like it will finish very close to our target, either above or below. We've been watching the total crawl slowly northwards, with two steps forward and one back (about 14% of people who have backed the project have subsequently cancelled their pledge, dragging us back away from the target). The encouraging thing is the number of project followers, so I'm still hopeful for a strong finish that tips us over the line, but it's going to be close and it's going to be nerve-wracking - that's for sure. Can we make it? I'm still optimistic and I really hope so - as I'm more proud of FlickFleet that any of the games I've released before. But we need another 70 backers in the next five days. This week has mostly been marketing. Which I am notoriously bad at. 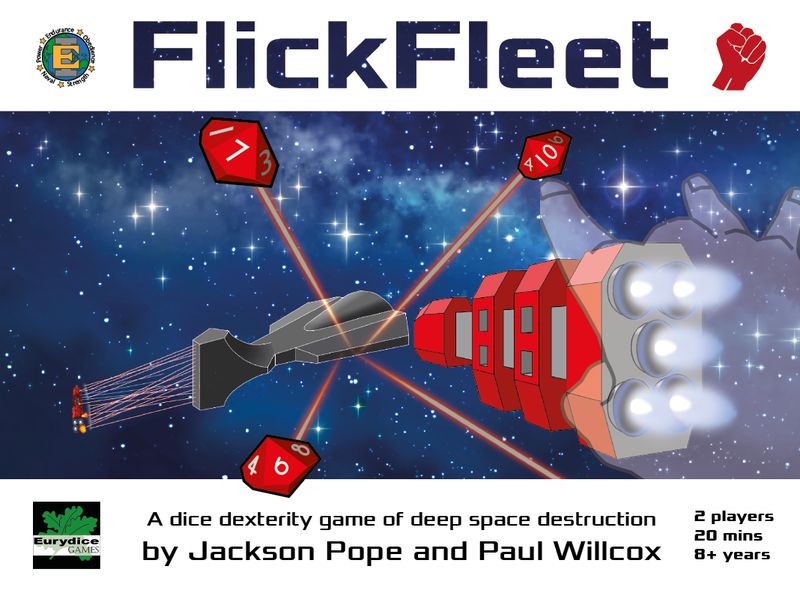 I’ve been trying to drum up interest and build up my mailing list ahead of the FlickFleet Kickstarter on 8th November. The limited company bank account is finally set up (this was one of the things that blocked earlier Kickstarter launch dates), so now we just need to get internet and mobile banking set up and we can start using it. I’ve also been getting more feedback on the Kickstarter page and updating that and getting a couple of outstanding tasks around production worked out too. It’s all very busy, and at this point it’s hard to tell whether it’s working or not. I guess we’ll know a couple of days into the campaign! You get a wide range of companies and people on Kickstarter, whether doing games or something else. There’s the large and successful companies with their videos that are incredibly polished, full of rendered animations plus high quality photos and copy. At the other end of the scale there are projects that are something that’s been cobbled together by someone by themselves - video on a laptop or iPad and fairly simple text and basic photos. With FlickFleet we’re trying to tread the middle path. I don’t want to invest tens of thousands of pounds in the advertising and content of the page, but I don’t want us to appear too homebrew either. We’ve not got a massive fan base ready to pounce on the Kickstarter, so we need to look professional enough to be credible to people who don’t know us. I’ve got experience hand-crafting games and getting games professionally manufactured for me and a back catalogue of five games that I’ve published in various quantities that speak to my credibility. Here’s a preview link to the Kickstarter page (with rough draft of the video and box art - still works in progress). What are your thoughts? Does it come across as credible? Too homebrew? Too professional? Do we sound like people you would trust to invest in? Back in June I ran a Hand-Crafting Games seminar at the UK Games Expo. I'd pitched it as a chance to watch me make a copy of Zombology live while I talked about my experiences running two games companies, but it became apparent before the event that I wouldn't be able to finish making a game in time (it takes 40 minutes when I'm focussing and I only had an hour, but that was only 50 minutes once 5 minutes had been shaved off either end to allow people coming and going). On the day I gave people the choice of watching me frantically crafting in an attempt to finish or to focus more on the talking and they chose the latter, so that's what I did and in the 50 minutes I managed to make half a box and cut out a few cards. I waffle a lot it turns out. Shortly afterwards, the guys from Tabletop Gaming Magazine approached me about repeating my seminar at Tabletop Gaming Live, a new convention they were running in London in September. I leapt at the chance. As we liaised via email in the run up to the show I told them I'd struggled to get much done in the hour at the Expo, so they gave me two whole hours of their single seminar track! Wow! The show was on the last couple of days, so I've spent most of my weekend there. London, it turns out, is a long way from Newcastle, so first I arranged with Paul (my FlickFleet co-designer) to stay at his Saturday night. So after The Toddler was asleep I set off, arriving at Paul's just before 10pm. We had a brief chat and then I headed off to bed as we'd set our alarms for 5am. On a Sunday. Joy. Up, showered and breakfasted we set off at 6am for the 3.5 drive from York to north London (did I mention it's a long way?). The first differences I noticed between this and the Expo were the little things. As a speaker I had a parking pass for free parking in a secure car park abutting the venue (my car was literally 10 feet from the venue wall). This was great. At the Expo I'd ended up parked a good distance from the venue, so I'd carted my bag of tricks (which weighed a ton!) around all day - no fun at all. My hand was killing me before I'd even started the cutting. Yesterday however, we went in blissfully unencumbered - safe in the knowledge that it would only take a few minutes to get all my stuff from the car before my seminar at 2pm. I spent a few hours wandering round the trade hall, chatting to people I'd previously only met online, introducing myself and my games to a few shops who were there and having a chat with Caezar from Alley Cat Games about the Kickstarter consulting he does. It was all good. Plus it was a great opportunity to hang out with Paul, who I don't see anywhere near as much as I'd like any more (we used to live just round the corner from each other, now we're 100 miles apart). But the time for my seminar was approaching and I had some concerns. At the Expo (a much bigger show) I'd managed to get nine people to my seminar. Two of those were mates I'd know for years, one was a Zombology customer and another a guy I knew from twitter. Tabletop Gaming Live was clearly a much smaller show and Sunday was apparently much quieter than the day before. Would anyone come to my seminar at all? The seminar space was in a massive room, of which about a quarter was set aside for the seminars - the rest was open gaming and a cafe. Would I be stood up there, mic'd up, chatting to Paul as the sole audience member while loads of uninterested people around the room were wondering what on earth was going on? A serious risk. I was also beginning to regret the two hours slot. 2 hours is a long time. A very long time. Especially when you're at a convention looking to try and play and buy games. If an audience turned up, how long would I be able to hold their attention? 30 mins? An hour? As it turned out I needn't have worried. There must have been 30-40 people at the start and even at the 1.5 hour mark when I finished making the game (I actually finished it! ), there were probably 15-20 people still there. A good proportion of those subscribed to our mailing list and I sold seven copies of Zombology (I only sold one at the Expo seminar - to the guy I knew from twitter) - so it was a huge success. Then I had the 6 hour drive home, via York to drop Paul off. A great, but very tiring day! We’re hoping to bring FlickFleet to Kickstarter in September. The original plan was to launch on Tuesday 4th, but with out of sync family holidays and a lot going on in August, I think it’s going to have to slip back to later in the month. I’m still hopefully that we can launch in September though. The video is one of the main stumbling blocks - I’d like it to feature both of us, which means finding a day that we’re both available and so is my mate with all the kit. So we’re still several weeks away from launch but the emotional rollercoaster has already started. Some of this is similar to the other games I’ve published as either Reiver Games or Eurydice Games: will people like my game? Can I find enough customers to make it, at least, break even? But Kickstarter brings a couple of new dimensions to it - the month of unknowns and the debt. Every previous game I’ve made I know exactly what I’m getting into at launch, either hand-crafting or ordering a fixed number of games at a fixed cost. I know how many hours of crafting are on the horizon and how many copies I need to sell at what margin. It could be terrifying, risky or fairly safe, but I know what it is. I know how much money is at risk and I know what my crafting future looks like. With Kickstarter however, until the campaign closes you’ve no idea what you’re on the hook for. How many backers will I get? How many copies will I have to make? What will my margins be? All of this is up in the air until the campaign closes. It’s even worse for us as we’ve set a two stage campaign - to keep the target low we’re planning a small hand-crafted run. But there’s a stretch goal to get the boxes, rules, dashboards and wooden pieces professionally manufactured and assembled. If we get close to that we’re still on the hook for hand-crafting everything. For a lot of copies. Even if we hit the stretch goal we may need to do the laser cutting ourselves (I’m still investigating options for a very large run of laser-cutting, but one of the reasons we're doing the laser-cutting ourselves is to keep costs down - there doesn't seem to be any economies of scale for laser-cutting). I’m not sure what my preferred outcome is - scrape over the funding target, just hit the professional stretch goal or something else. In addition, there's the fact that you owe a lot of people a lot of stuff. I'm okay with the idea of crowdfunding - it makes FlickFleet a possibility, but as I've said before I'm uncomfortable about taking people's money up front. They're paying for a copy (or two!) of the game. They know it'll be a while. They must be comfortable with that or they wouldn't back it. But I've never taken money for something that's not ready yet. Even pre-orders for my previous games were just a request - I didn't take any money until I had a game ready to ship to them. I lost a few pre-orders that way, but I was more comfortable with that than owing someone for something that's an unspecified amount of time from completion. I'm hoping the discomfort around owing people games will encourage me to crank them out as quick as possible. Exciting times. It’s not keeping me up at night yet, but it’s certainly occupying a lot of my thinking during my evenings and weekends. We're hoping to Kickstart FlickFleet in September. There's still loads to do though, so that timeline is getting tight and Paul's currently out of the country on holiday and I'll be heading off on holiday at the end of next week. We've set up the limited company and are now getting the bank account and related guff together, while working on the Kickstarter page text and images, scripting the videos and the box art. It's all feeling pretty hectic now. I've also been trying to build up some Zombology stock as there may well be another stocking order shortly from Travelling Man (York is getting very low on stock) and I'd like to have a decent pile ahead of the kickstarter so we can focus on FlickFleet afterwards (assuming it funds). We're offering Zombology as an add-on which allows you to get it with much cheaper shipping. I thought my laptop power lead had died this week, which limited my options at home (lots of those tasks are hard/impossible to do on an iPad or phone), but it seems to be working fine here (I brought it to work this morning in order a replacement power lead for it). Maybe the power socket had broken - who knows. Here's the next iteration of the box art, it's coming together slowly - what do you think? My first games company, Reiver Games, was legally a Sole Trader - the company didn’t exist as a legal entity, it was just me, using a trading name. Had anyone sued me back in the day it would have been my personal assets (house, car, etc.) that would have been at risk. Eurydice has been exactly the same until now - while selling a small number of hand-crafted games I thought the risk was quite low, but with Kickstarter coming up in just over a month I’ve decided to do things properly. I’m going to form a limited company (a separate legal entity) and incorporate Eurydice Games Ltd. Paul, my FlickFleet co-designer and long time Reiver Games play tester is coming on board too as another Director. I need to get the company founded and a bank account set up as well as get the Kickstarter page together and finish getting quotes for manufacturing and shipping the various different manufacturing options. Paul has done a first draft of the Kickstarter page, so that’s coming together nicely. 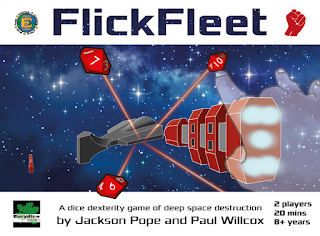 Win a Deluxe Copy of FlickFleet! 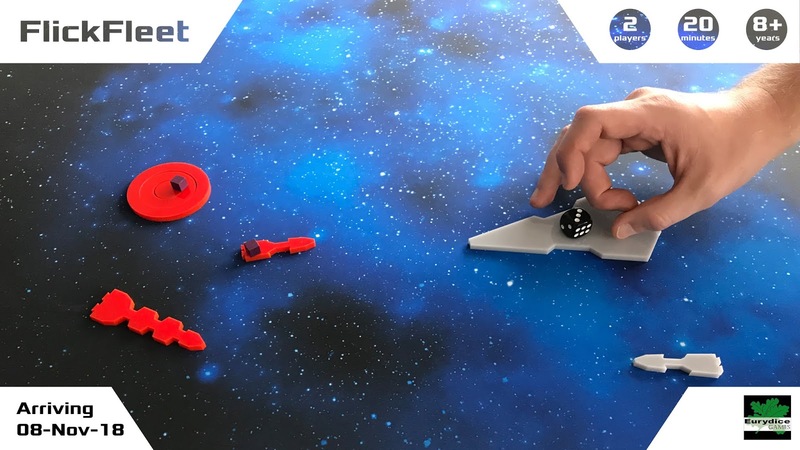 FlickFleet, our new 2-player space battle dexterity game, has two modes of play: pre-defined scenarios and free play where both players design a fleet that has a particular points value. I really prefer the scenario play and one of the things Paul (my co-designer) and I would really like to see is a large body of community designed scenarios available to play. In an effort to kickstart (see what I did there?) that collection of scenarios ahead of the September Kickstarter for the game, we’re running a competition - with a first prize of a deluxe copy of the game. Now very few of you have a copy of the game, so we’re not expecting expertly crafted, perfectly balanced scenarios, instead, we’re looking for ideas. 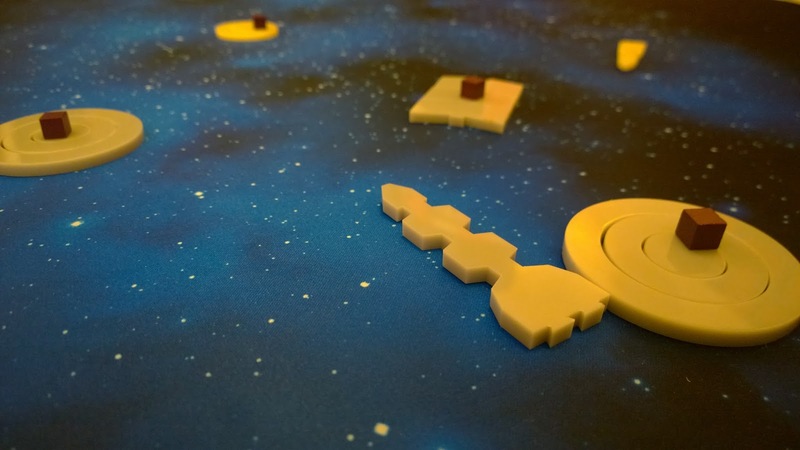 The game is set in humanity’s far future when a totalitarian Imperium of Earth bestrides the galaxy. Sick of the endless oppression an Uprising has formed and they are starting to wage a civil war in an attempt to free the citizens from the yoke of tyranny. To enter the competition, read the rules and see the examples on pages 11-15, read the capabilities of the different types of ships and then submit an entry by emailing jack@eurydicegames.co.uk with your scenario in that format. 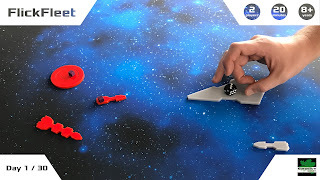 You can write your scenario from the perspective of the Imperium or the Uprising and include as many of the ships that come in the game as you want. With bonus points available for using common household items as scenery. You will not be marked down for an unbalanced scenario, as we will playtest, balance and publish the best ones (with attribution!). Entries must be received by midnight (UK time) on 31st August 2018. Winners will be chosen by me and Paul (the game designers) and will be announced by the end of September. 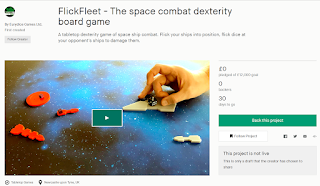 If you choose to back FlickFleet and are declared a winner we will refund your pledge. The winner will win a deluxe copy of FlickFleet including free worldwide delivery. If we are successfully funded, second and third places will win a standard copy of FlickFleet with free delivery. We reserve the right to publish any of the scenarios to our website (attributed to the submitter) after playtesting and tweaking for balance. 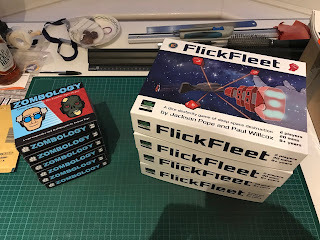 Things have been pretty busy again this week, mostly FlickFleet focused, but also starting to build up some Zombology stock again (I ran out at the end of June). I’m hoping to get FlickFleet on Kickstarter in September, but to do that there’s a number things I need to get sorted first. Last week I finished off the FlickFleet preview copies and posted three of them to the US. I also made two upgrade kits that turn blind playtesting prototypes into preview copies. I’ll be getting an upgrade kit and the last two preview copies in the post on Tuesday. That’s the last FlickFleet crafting I have to do for a while. The other things I need to do are to do the Kickstarter page and the video (which my mate Wilka is going to help with) and some company stuff. Until now Eurydice Games has been a trading name for me. Legally the company is me as an individual. Paul, my FlickFleet co-designer and one of my main Reiver Games playtesters wants in, so he and I will be forming a limited company in the next few weeks. 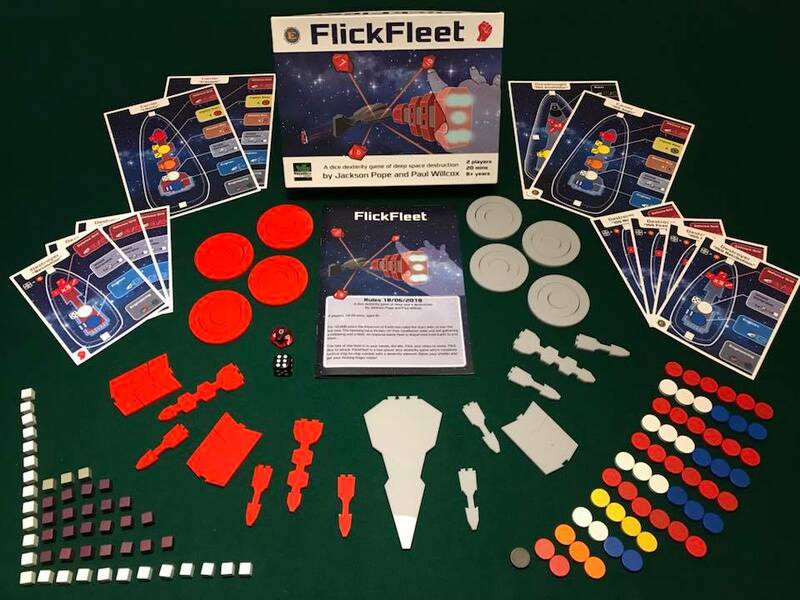 From a marketing point of view I need to properly ‘launch’ FlickFleet on BGG, and in a few other places and then the last two things are to finish the box design and get some more info up on the website. In other news, next week I'll be in Travelling Man in Manchester demoing (and selling!) Zombology. I'll be there from 6:30pm on Tuesday 24th July. If that's local to you come down meet me! In these days of wall-to-wall Kickstarters it’s easy to forget how critical retail (both online and through FLGSs) is to the success of a game. Back when I ran Reiver Games I started off with small hand-crafted runs (like I’m doing once again with Eurydice Games). When my Multiple Sclerosis diagnosis led to a life insurance payout I decided I wanted to be a ‘professional’ publisher selling through shops and distributors. I went from selling 100-300 copy print runs to 2,000-3,000 copy runs - which in fairness I didn’t sell out of and I ended up getting rid of a load to liquidators. With large print runs comes economies of scale, which is just as well since selling through proper channels means more people take a cut: Shops want to buy at half retail plus tax (they have to fund staff, expensive retail locations, absorb the sales tax and want to make a profit), so distributors want to pay 40%. The ideal manufacturing cost is hence 20% of retail (so a game that retails for £50 should cost you £10 to make). With small print runs you can’t afford to sell to distributors and even selling to retail is a stretch so my whole business plan this time round was based on selling through my website and at clubs and conventions. As feared, it’s difficult to get people’s attention in the age of Kickstarter and sales have been slower than I would have liked via my website. Sales face-to-face have been pretty good, but I don’t have a lot of time to go to conventions since weekends are my family time and I don’t want to be skipping loads of them to attend conventions. I’ve tried to make it to clubs when I can (sales have been great at Newcastle Gamers) and where possible I’ve tried to include a trip to a local club during my work trips. A couple of months ago I popped into my FLGS, Travelling Man, and spoke to the staff about my game. They have a small press section that is full of hand-drawn comics that are printed at home and thought Zombology would be a good fit for it. By pricing the game at £13 we found a price where it was cheaper than buying it from my website including UK shipping and my cut after they had taken theirs was not too low. They took them on Sale or Return, so I only invoice them for copies sold - so there’s no risk for them of unsold stock and hence lost investment. In the first month they sold two of their three copies and in the second another two (I’d restocked them back up to three). Last month I met them at the UK Games Expo (I knew several guys from the chain from my Reiver Game days) and their MD wanted to take another 12 copies - four each for the remaining three shops in the chain. That month across the four stores they sold five. It helps that I’m the only game in the section and that the box design is strong (thanks to advice on BGG), but still this is off to a great start. Over the last ten months I’ve sold 83 copies of Zombology. Nine of those (over 10%!) have been through retail in the last three months. Despite not wanting to go into retail this time round - it just goes to show that you need to be able to adapt your plans as you gain more data. FlickFleet is another case in point of adaptability - I was adamant I didn’t want to use Kickstarter, but the only way FlickFleet will see the light of day at a reasonable price is through Kickstarter funding of the laser-cutter so that I can do the laser cutting myself. What changes have you made to make your game a reality or more successful? I spent most of last week in America for work, what little time I had in the UK was spent with my family and my parents who had come up for the weekend to help with the kids while I was away. Monday I had an hour in Newcastle airport which I spent writing last week’s blog post and then an hour’s flight to Amsterdam where I was delayed for an hour and a half. I used my layover to work on the FlickFleet box illustration, starting with the smallest ship, trying to come up with a style that I though would scale up well to the larger ships. I do most of my game art as vector art (in InDesign and Illustrator) which is more forgiving as you can constantly tweak the vectors until you’re happy with them. Consequently I’m not very au fait with Photoshop - the pixel art part of Adobe’s Creative Cloud suite. As such I spent a large part of that time referring to Google or online tutorial videos to work out how to use the tools which are all subtly different from the other apps. My flight was delayed and then my taxi to the office broke down, which meant that I missed the meetings I was supposed to attend on arrival, but to be honest that was a blessing as I’d been up since 10pm Sunday (US time) and been travelling for 16 hours, instead I could have a quick dinner and go straight to bed at 7pm! I expected that, so I had booked a podcast interview with Jack Eddy of The Cardboard Herald for 2am on Tuesday (which felt like 7am to me and was 10pm for him in Alaska! We’d done the same thing on my previous trip in January and it was great to have a catch up chat covering a wide range of topics. Jack says the interview will be released in a couple of weeks, so keep an eye out for that. When that finished at 3am I spent a few more hours on the box illustration before heading into the office. Tuesday and Wednesday were a customer meeting with dinner on Tuesday evening, but I had Wednesday evening off, so I had arranged to nip into Cambridge (just across the river from Boston, where I had lived in the winter of 2000-01). I managed to get a lift from the office into Boston with a colleague after work and on the way in we chatted and I explained I was going to a games club. When we arrived at her house she invited me in to wait for my Uber over to Cambridge and as I waited she introduced me to her husband - a gamer! We chatted about games and the club I was attending for a few minutes and then I got the Uber to Pandemonium Books in Cambridge. After a brief stroll round the store I ambled over to the games club and grabbed some dinner in a cafe next door. The club was a spin off of Beantown Gamers, specifically comprised of people who like lighter games - what an awesome fit for Zombology (10 minutes) and FlickFleet (10-20 minutes). It was an unusually busy session with about 25 attendees so we quick split into multiple groups. We started with Crossfire a super quick social deduction game that was alright, and then since I’d posted a comment in the meetup page that I was there to demo games we played Zombology, which we had a full team of eight players for. After a couple of games we split up again but not before I’d sold a couple of the six games I’d brought with me. A second group of six wanted to play, so we played again, this time four times, and I made a couple more sales. Then another shuffle and a final group of five, one of whom bought a copy. At that point someone wanted to play FlickFleet, but it was 10pm and I was shattered and faced a long ride back to my hotel, so I called it a night. Five sales in an evening - what a great outcome! Thursday morning I did another early morning podcast, this time with Brian Schneider of Behind the Indies. Fortunately Brian and I were both in the same time zone, so we chatted at the much more reasonable time of 6am, which was good after a late night and continued jet lag. Brian’s podcast will apparently be available tonight! With the large Sale or Return stocking order I got from Travelling Man at the Expo and now this I only had 1.5 finished copies of Zombology in stock. I sold two via twitter on Friday evening, so Sunday night I had to finish the second one so I could post them both at lunchtime today. Saturday I rang round the Travelling Man stores to find out how many they'd sold so I could invoice them for the sales. They'd sold five (including two in a store that had only received their stock that week!). So June (which was looking rubbish for sales when I went to the US) ended up being my best month for sales since I finished fulfilling the pre-orders! The Zombology stockpile is empty! I'm now completely out of Zombology stock - so crafting is called for! 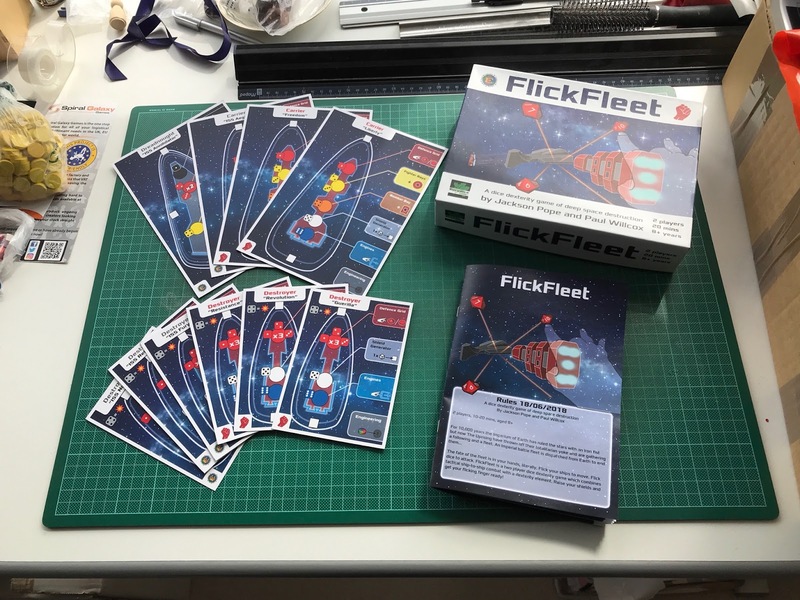 I also need to finish the FlickFleet preview copies and get those in the post to give the reviewers as long as possible to form an opinion and review it ahead of our Kickstarter. It's been a busy week, but a productive and slightly ill one. 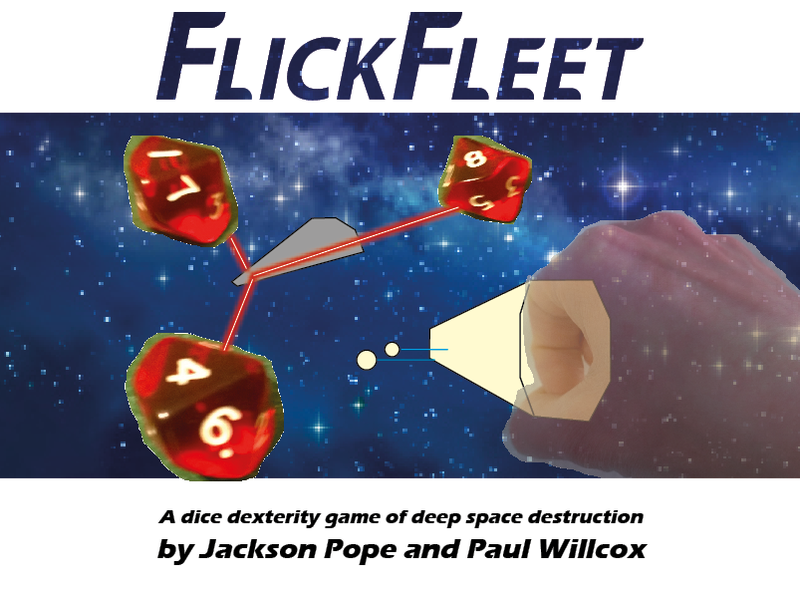 I finally heard back from my printer on Monday and was able to send him the files for the FlickFleet preview copies. I sent them on Tuesday (after a bit more work on them in my lunch breaks on Monday and Tuesday). With the files out of the way I could join lunchtime games club in the office on Thursday (for the first time in months!) and then Thursday evening was Games Night - I played eight games on Thursday! Friday evening I swung by the printers on my way home and collected the printed files. My plan was to spend Friday evening cutting out all the ship dashboards and wrapping a few of the preview copy boxes with their labels. Instead I felt a bit rough all the way home and then was sick while The Wife was getting the girls to bed. I went to be early myself having done nothing - not even cleaned up the house. Saturday my parents were due to arrive in the afternoon and thanks to my laziness the night before the house was a tip. The Wife took the girls out for the morning and I (still feeling pretty rough) pootled round gently tidying up (pausing only to cut out the ship dashboards for and wrap the box of my personal FlickFleet copy - ready to take to America). My parents arrived in the evening and by that point I was starting to feel a bit less ill, though by 7:45pm I was so shattered I went to bed! Sunday was a perfect day. I felt fine, and my parents and the four of us went to the beach for the day. It was glorious weather, hot but not too hot and sunny with a light breeze - we spent four or five hours on the beach, building sandcastles, playing in the (rather cold) sea, lounging around and eating ice cream. It was awesome. Then I was up at 3am this morning (I'm writing this at 5am in an airport cafe!) for my trip to the US. I'll be in the US all week, getting home on Friday. The good thing about this is as a terrible traveller I'll be on UK time all week (until the day I come home of course), so I'll have the jet lag hours of 2-6am every day to work on the box illustration or the kickstarter. It should be a productive week! While in the US I'm heading to Beantown Light Gamers evening at the Cambridge Center Foyer, 345 Main St, Cambridge, MA on Wednesday (27th) evening. I should be there no later than 7pm, so if you're Boston-based please come along and say hi - I'll be demoing Zombology (I'll also have a few copies for sale at $13 which saves $8 on international shipping) and FlickFleet - now's you chance to try it out ahead of the Kickstarter! 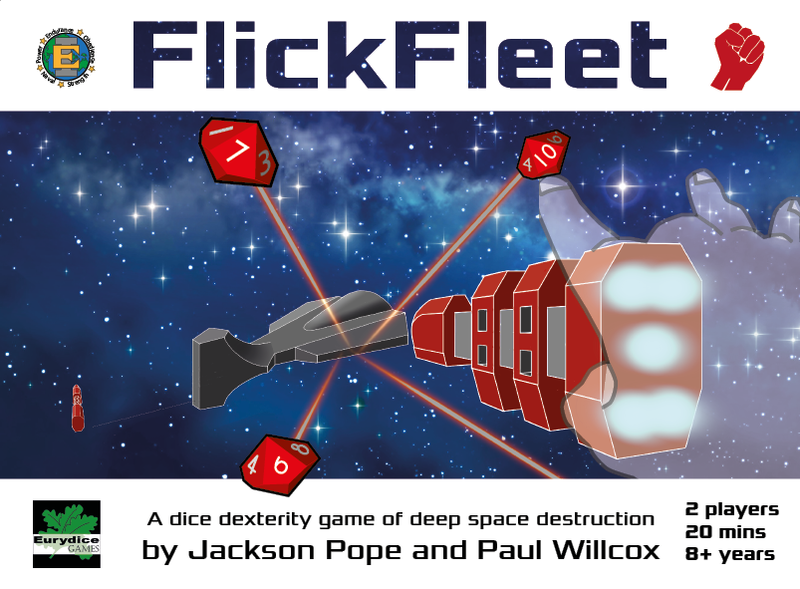 I'm hoping to bring FlickFleet to Kickstarter in September, which means I'm just over two months away from D-Day. Which means it's getting exciting at Eurydice HQ. 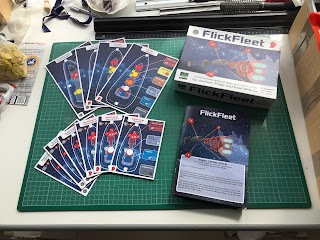 At the moment I'm trying to get five copies of FlickFleet ready to post to previewers so I've got some reviews and quotes for the Kickstarter launch. I've got the greyboard (I've stolen some from Zombology for the moment) so I've made the box blanks this week. I've also received the wooden bits so I've bagged up all the bits ready to put in the games. 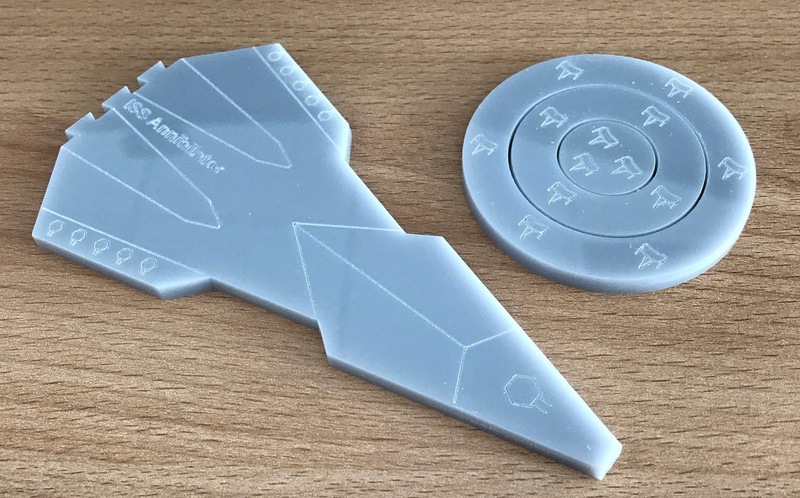 I've received the acrylic and am ready to start the laser cutting, but my usual laser cutting guy is in Boston (where I'll be shortly) so I'm hoping my mate Wilka can do it instead - he's recently got one too. All that remains is the printing. I've spent the last few lunch times working on the art. The ship dashboards were finished at the beginning of the week and I've been working on the rules (tidying up a couple of rules, streamlining some of the wording and starting to make it pretty). The last thing is the box. The box art has been started on my iPad, but I need to get it onto the box and also onto the front page of the rules. I'd like to make it more attractive, but I'm running out of time to do that as I'd like to give the reviewers a couple of months with the game so they get plenty of time to get a decent feel for the game. It takes a week or two for the games to get to the US (where several of the reviewers are based) so I need to get them out very soon. Ideally today. The printers have been having some issues, so I've not got a quote yet, but even if I had I'd like to do a bit more work on the illustration. So the art is now urgent. This has been further complicated by a trip to Boston next week that appeared on the horizon last Wednesday. 10 days notice. So, I need to crack on. As a result, today's blog post is short so that I can get a little more art done (I'm writing this on Sunday night). Yesterday I attended the UK Games Expo for the first time since 2009. I attended the first three UK Games Expos in 2007, '08 and '09 as an exhibitor with Reiver Games selling Border Reivers, It's Alive! (first and second editions) and finally Carpe Astra and Sumeria. I also exhibited at Spiel in Essen in 2008 & '09. Until yesterday I'd not been back to a large games convention, just attending Beer and Pretzels a few times with my friend Terry. In the year I last attended there were 1,800 unique attendees and 2,500 total attendees (where one person came on several days). This year those figures were approximately 21,700 and 39,000 - a growth of 12-15 times over the last nine years and 30% up on last year (again!). It's now huge and feels very different to how it did back in the day. One of the reasons I've not attended for the last eight years is that I am not a target punter for this at all. I don't buy a lot of games - my collection hovers around 100 games, and each year I give a few away and buy a few more - usually things I've played several times and really enjoy. I am not a Cultist of the New, most of my games collection is 5+ years old and has been played tens (or even hundreds!) of times. So a big trade show where you can buy the latest games is not pitched at me at all. I ended up just going for the day on Sunday, adding another 400 miles of driving (Newcastle to York on Saturday night to stay the night with my FlickFleet co-designer and long-time playtester and friend Paul) and then York to Birmingham and Birmingham back to York with Paul a brief snack and toilet stop at Paul's and then back to Newcastle. This was on top of a week that I'd driven 750 miles with the whole family (including notably a five year old and a one year old). It was a lot of driving. But totally worth it! 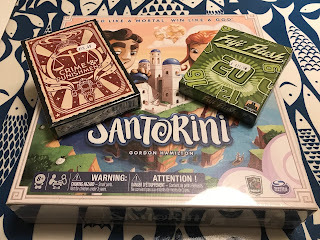 I've been looking for Santorini for a while (I think it was out of print at Christmas), so when I saw it on the Games Lore stand I snapped it up (after a brief chat with Paul, the boss who I know of old) despite the fact I've never played it. I also bought the Crime and Punishment expansion for Firefly (more stories and misbehaving cards!) and Fuji Flush (which Paul brought up last time he visited and we played a lot). Total spend just under £50. The main thing I got from the Expo was a chance to catch up with old friends: Games Lore, Surprised Stare Games, Ragnar Brothers, Steve and Nabil from Travelling Man (who picked up another 12 copies of Zombology on Sale or Return for the other three stores - the Newcastle store has already sold four copies). Plus Brett Gilbert (designer of Elysium, Professor Evil and the Citadel of Time, and a bunch of other cool games). I also ran into the aforementioned Terry and our mutual friend Graham, who I'd not seen for quite a while (I missed Beer and Pretzels this and last year). I also got to meet numerous internet friends for the first time: Matt Dunstan and Rob Harper from Playtest UK, Robin Bates from Coaching for Geeks, Heinze & Rachel from Semi-Coop and Chisel. It's nice to meet people for real! The morning was spent wandering round chatting to people carting round a very heavy bag containing everything I needed for my seminar and some stock in case anyone wanted some afterwards. 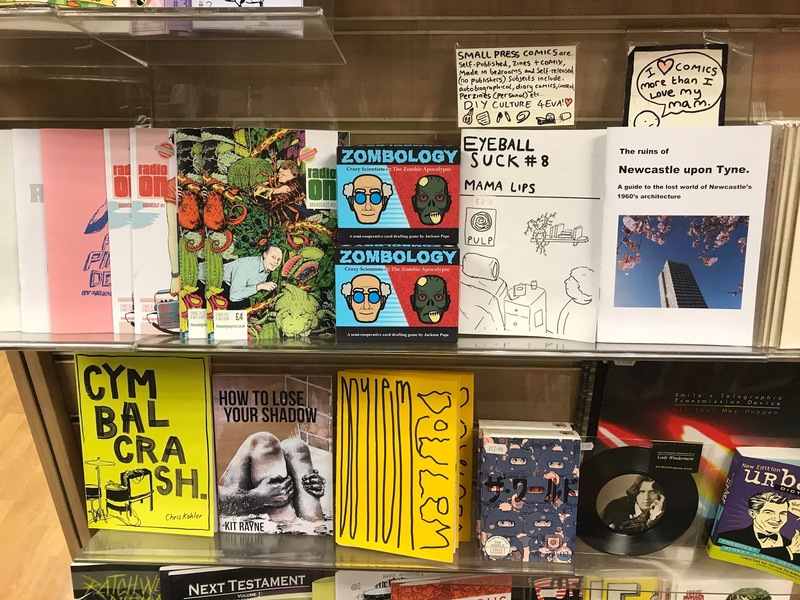 I was very happy to put it down before my seminar, and as soon as it was over I ran it back to the car, just taking a few copies of Zombology just in case (as it turns out it was too few, I had to go back to the car to get more for Travelling Man!). In the middle of the day I had my Made by Hand seminar where I had intended to live craft a copy of Zombology. It takes me 42 minutes when I'm focussing on it, which I thought was doable in an hour, but then I found out I only had 50 minutes. So instead I offered the audience (only eight people, including Terry and Paul) the choice of that or more talk and definitely not finishing it. They chose the latter. As it turns out that was very wise. I wittered on and ended up with the box half-finished with only ten minutes left! I quickly did a bit about the cards and then wrapped up with a rather lacklustre 'anyone want a copy' sales pitch. I sold one, and then got a twitter DM from someone apologising for missing it and asking to meet up to buy a copy, so two in total (plus the 12 to Travelling Man on Sale or Return, so I came home with 6 of the 12 I took). Sales were disappointing, but pretty good considering the small audience (lots of whom already owned it!). The seminar was well-received and several people were taking lots of notes, so I must have done something right! The biggest wrong was joking about 'are there any first-aiders in the audience?' and then cutting myself with my knife. Things to remember for next time: black jeans hide the bloodstains! There were a few things that surprised me. Most notably the number of stands that were just demoing a game that was on (or coming soon to) Kickstarter. I hadn't considered attending without a decent pile of stock to sell - to just write off the several hundred pounds cost of attending (booth, travel, hotel, food, etc.) as a marketing expense when you could be selling games to cover the costs didn't even occur to me. There were also lots of stands that were selling non-games (gaming tables, dice, dice bags, soap, dice towers and box inserts, etc.). Finally, probably the weirdest thing of all was that in the seven hours I was there I didn't play any games. The reason why I prefer Beer and Pretzels as a punter is that there I spend the whole time gaming with chums (mostly Terry) and very little time wandering around/schmoozing. As a punter, one day was definitely enough for me. Hopefully next year (assuming our Kickstarter is successful and I've fulfilled it ahead of the Expo) I'll be back for all three days as an exhibitor again! I’m currently on holiday for a week, touring the UK, in car with a baby and a five year old. For reference, no we not ‘nearly there yet’. This blog post was written before we left and then scheduled to go live on Monday morning as usual. Hopefully it worked. I thought people might be interested in a day in the life of a games designer, self publisher and parent in full time employment, so that the subject of this week’s blog. My days usually start between 5 and 5:30 when The Baby finally ‘wakes up’. I say this in quotes because, like her sister before her, she’s a terrible sleeper and wakes hourly from about 11pm. I help out with a few of those, but The Wife bears the brunt of it, so come 5am it is definitely my turn. My day doesn’t start with meditation, a quick workout and then blitzing emails and a brainstorming session like most internet business gurus, instead it starts with 30-60 minutes of passing a series of soft toys to a baby who is far more conscious than I am while I stagger blearily into wakefulness. At 6 the day begins as we shower, have a family breakfast and get the girls ready before I head off to work around 8. I walk to work (it’s just over 2.5 miles each way which I do at a breakneck pace as it’s my only exercise). The walks in and home are a great opportunity to think about the games I’m designing, graphic design and art ideas and company stuff in general. Most days I spend my 30 minute lunch break on something games related: updating the website, graphic design, art or playtesting, or something similar. I leave work between 5 and 5:30 most days and usually get home from work around six and get to spend 30-60 minutes with the girls before bedtimes begin. This sometimes includes a family dinner, but often The Wife and I will eat once they are down as the girls will have eaten earlier. At seven, while The Wife gets The Baby to sleep, I get Daughter the First ready for bed and read her stories. Once The Baby is asleep she takes over and I head downstairs to clean up. The cleaning and dinner take until 8:30-9 most nights, then we have some free time! Now as I’ve mentioned already, The Baby sleeps really badly, and The Wife takes the brunt of it, so I help out where I can in the night. If I go to bed at 10 I’ll get 7-7.5 hours of broken sleep. I’m one of those guys who needs eight hours, so I’m never really functioning on all cylinders. But ten pm is doable as long as I get one or two earlier nights a week (Games Night on Thursday usually means getting to bed after 11, which hurts). So I get 1-1.5 hours a night for fun. I want to spend several of these with The Wife, Games Night takes up one most weeks, so I get 2-4.5 hours a week for Eurydice Games! A batch of six copies of Zombology takes 4.5 hours to make, so with a following wind I can make one batch a week (it’s been one a month for the last few months as I’ve been focussing on FlickFleet instead). I’m looking forward to The Baby sleeping better, so I can extend my evenings later and get more done in fewer evenings so I can spend more time with The Wife too. Hopefully we’ve less than a year to wait! It was Beer and Pretzels this weekend, a convention I’ve attended a lot over the last ten years, usually with my mate Terry, whose games group I was a member of when we lived down south (‘09-‘11). I missed it last year as The Baby was due within a week of it, and this year I’ve had to skip it again as it’s just before a crazy week. Next weekend we drive to Oxford for a wedding, then Salisbury for a holiday with my whole family (16 of us!) then drive home just in time for me to drive to Birmingham for The UK Games Expo. I’ll only be at the Expo on Sunday for the day (where, shameless plug, I’ll be giving a seminar on hand-crafting games during which I’ll craft a copy of Zombology from scratch - Sunday, 1-2pm in the Piazza Small). Last week and this week have been very busy as a result, but it’s been great to make some decent progress after months of sleep-deprived survival. I’ve been trying to get 13 more copies of Zombology finished so I’ve got some stock for the Expo, so I’ve spent my evenings on that after the girls are asleep and I’ve cleaned up and eaten. At the same time I’ve spent my lunchbreaks at work on FlickFleet art. 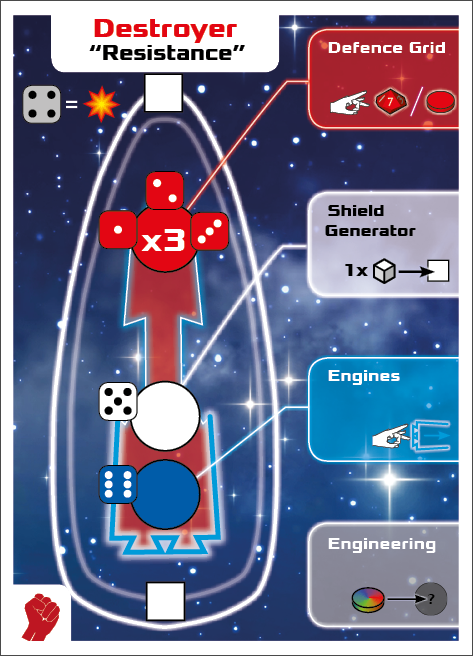 Last week it was the ship dashboards, which are nearly finished now, next up is making the rule book prettier and finishing a first rough cut of the box art. Here’s a look at the latest dashboard style - any feedback? I’d love to know what you like and what you don’t! Last week on Google+ long time reader Derek asked for more details on how to make game boxes. 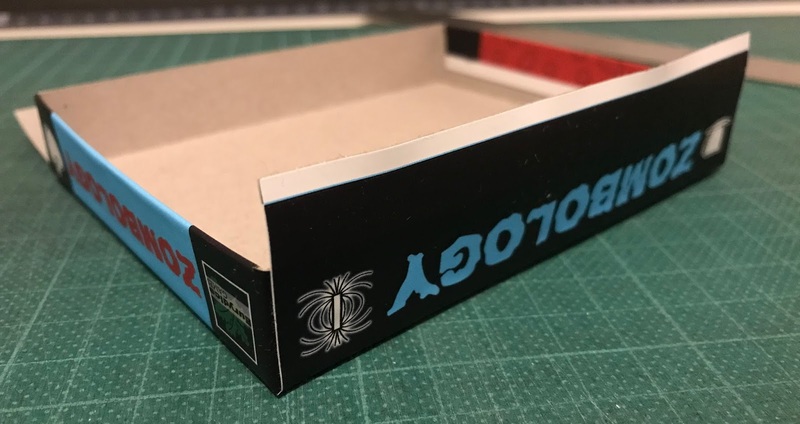 So here's a detailed tutorial on how I made the boxes for Border Reivers, It's Alive 1st Edition and the two hand-crafted versions of Zombology I've done. It's quite long, but there's lots of pictures to break it up! 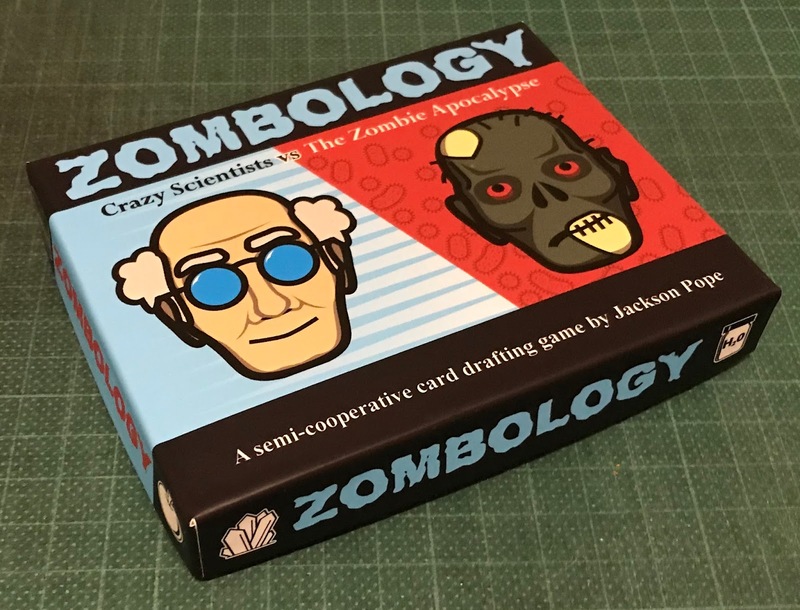 If you found this interesting and are planning on attending the UK Games Expo at the beginnging of June in Birmingham you can see me hand-craft a copy of Zombology from scratch in front of a live audience! My Made by Hand seminar is 1-2pm on Sunday 3rd June in the Piazza Small. 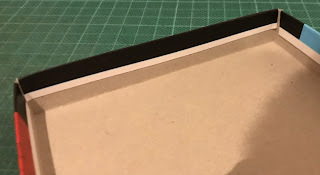 For this tutorial you'll need a good ruler with a steel cutting edge (ideally that lies flat with the cutting surface) and a clear scale for measuring, a self-healing cutting mat and a sharp knife (I use an Xacto-style knife with snap off blades). 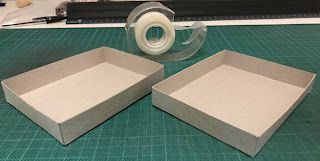 If you want your game to go into manufacturing, using a standard box size saves you the cost of tooling new dies for the box blanks and labels, shipping crates, etc. 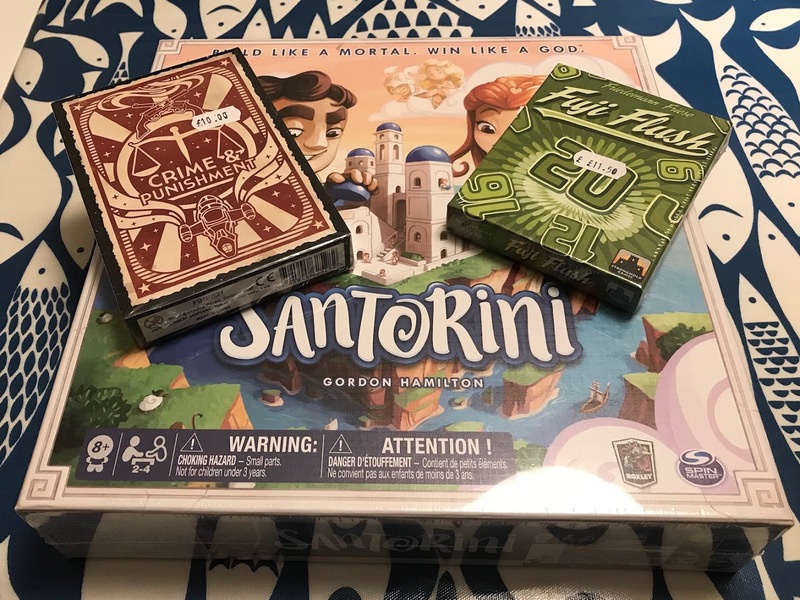 My personal philosophy is that the game box should be the smallest one that the components can comfortably fit in, but if you're hoping to go into retail your box needs to reflect your MSRP. Being the only £25 game on the small games shelf really hurt sales of Sumeria. Once you know your manufacturing cost, times that by five and go into a game store - how big are the boxes for games that cost that much? 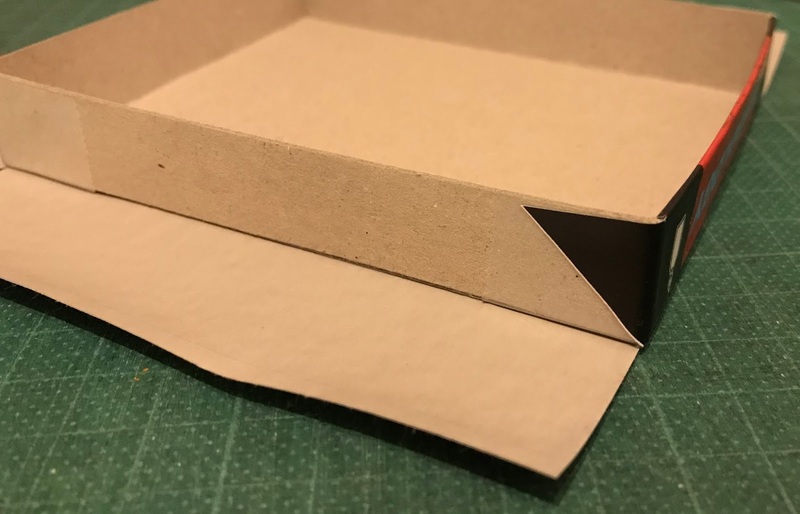 Once you've picked a box size, measure the width (W), height (H) and depth (D - the distance between the lid opening and the top of the lid) of the box lid. The dimensions of your box blank (BW and BH) are W+2*D by H+2*D. You need two rectangles of greyboard (chipboard I think in the US and Canada) that size. I usually use 750micron (0.75 millimetres thick) greyboard for a small box or light game and 1250micron (1.25 millimetres thick) for heavy or larger games. On that greyboard measure out two rectangles that are BW by BH. Then draw lines that are D in from every edge on one of them (this is your box lid). For the tray the lines need to be further in, for a 750micron thick box you can draw them D + 1mm in, for 1.25micron greyboard you'll need D + 2mm. 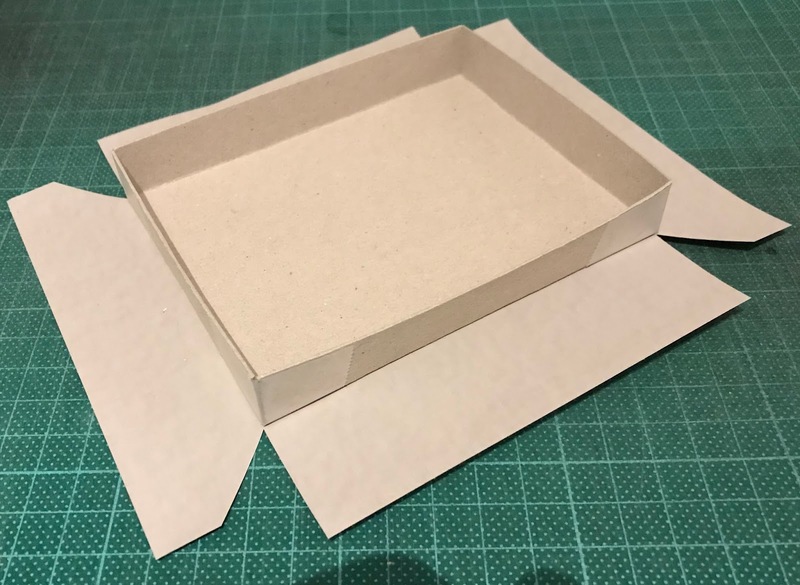 Making the box blanks the same total size means that the tray is smaller, but taller than the lid - this means you have a small amount of tray showing when the lid is on, so it's easier to open the box. The next step is to cut the small squares out from each corner of the tray and lid blanks, and to score (gently scratch with a knife - not all the way through) the remaining bits of the lines you drew. Now turn the blanks over so the drawn and scored lines are underneath and fold the sides of the tray and lid up along the scored lines. The final step of making the blanks is to tape the box corners. I use Scotch Magic Tape for this as it has a nice matt surface that the label sticks to nicely. But for a hand-crafted game you want this to look like a real game that's been professionally manufactured. So you need labels. In the old days I used to get these printed onto paper (and then professionally laminated for durability) and then glue them on by coating them in watered down PVA glue. This is an awful idea - don't do that! For a smaller game where high fidelity isn't critical you can print onto label paper (I think you can get it in up to A4/Letter size), but I've started using Vinyl labels (also professionally laminated) for Zombology which are awesome (if expensive). Your box art will need to be W+2*D+30mm by H+2*H+30mm so that there's 15mm of label on each side to wrap over the box into the inside. Do the box label art (and getting it all the right way up!) is enough content for another post, needless to say you'll have to get this right! Once you've cut out the labels, take the box lid label and the box lid blank (be careful at this point - the box blank lid and tray look almost identical!). Remove the label backing and place it face down. Place the box blank on top, being very careful to line up all four corners of the box blank with the corners cut into the label. Press down firmly across the whole blank surface to get a good adhesion to the label. The next step is to do the shorter sides. Roll the blank onto one short side, pressing firmly along the blank to make sure it adheres well to the label. 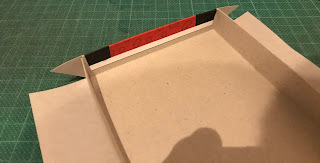 Now cut from just inside the corner of the box to the label edge (so the cut goes slightly towards the middle of label edge), and then again towards the corner of the label where the 45° cut turns towards the label edge. You want to err towards the 45° cut at this point, you don't want any label ending above the blank edge when you wrap the label over the corners. Now starting in the middle and working out towards the corners, pinch the label over the edge of the blank. Make sure the label sticks really well both on the inside and the outside of the box edge. 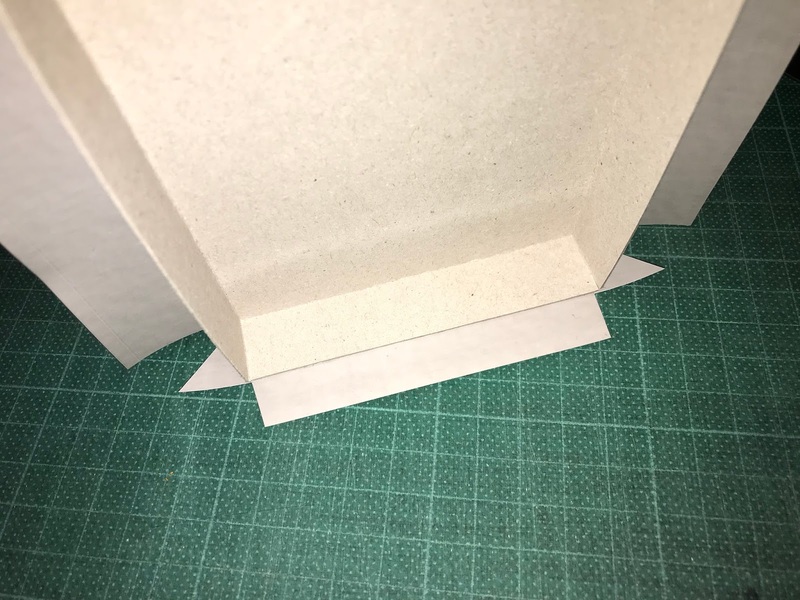 You can now wrap the two diagonally cut pieces round the corners of the box - this strengthens the box corners and also ensures that none of the greyboard will be visible on the corners. Repeat the last four steps on the other short side. Next up are the long edges. Roll the box blank onto one of the long edges and press down firmly along the edge to ensure the label sticks well across the whole edge. Starting in the middle again and working out towards the corners, pinch the label over the edge of the blank. Make sure the label sticks really well both on the inside and the outside of the box edge. 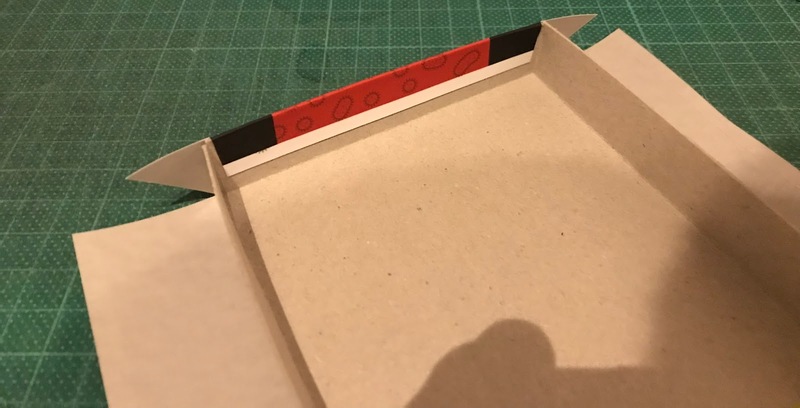 If you cut the long edge straight out to the label edge you might need to pay attention to pressing the label into the corners on the inside, which is less of a problem if you cut the label slightly in towards the middle. Repeat this process on the other long edge. Repeat this process on the box tray and Hey Presto! you have a professional looking tray and lid box! I hope this was helpful - let me know in the comments if you'd like any more details or another How To post on something else (e.g. box art layout).